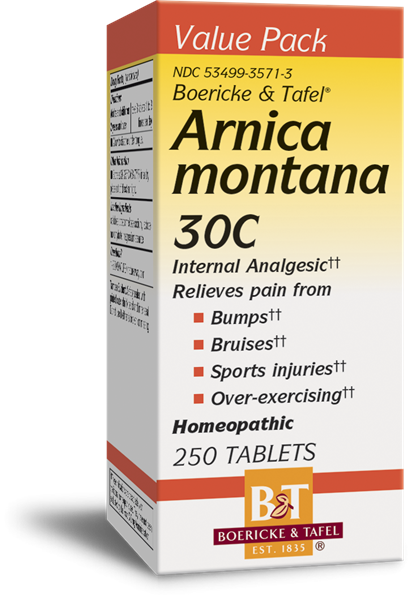 Arnica montana 30C Tablets / 250 - Nature's Way®. Do not use this product for pain for more than 10 days (for adults) and 5 days (for children) unless directed by a doctor. When using this product, if pain persists or gets worse, if new symptoms occur, or if redness or swelling is present, consult a doctor because these could be signs of a serious condition.